Palawan Hostel is much more than a simple conventional hostel. An extremely pleasant and comfortable place, a new accommodation concept. All prepared with much affection to welcome our guests, with that delicious smell of cleanliness, comfort, and make you feel at home. A complimentary continental breakfast is served in the hostel every morning. We have a fully equipped hostel to ensure a great comfort to our guest and travellers. We can organize buggy rides, snorkel and snorkel dives, surf lessons, visits to the distant beaches, city tour in Recife / Olinda, presenting the local culture, as well as transfer to the airport. Indoor and outdoor common area for interaction, and also a friendly little dog named Chico. Palawan Hostel is situated on the beautiful Maracaipe Bay, a paradisaical place with lots of nature around, natural pools, and also ideal for surf lovers. 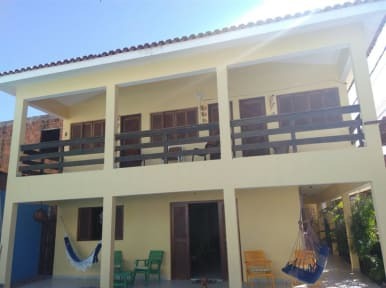 Just 3 km from the popular beach of Porto de Galinhas, you can stay in a quiet place and easily reach the shopping center, shops, restaurants, and bars. In addition, Palawan Hostel is situated next to several seaside restaurants, including the nightly Marcao Prime restaurant. We are 200 m from the beach and we have small markets in the vicinity. We have the perfect accommodation. All rooms at the hostel feature with nice and comfortable bed. 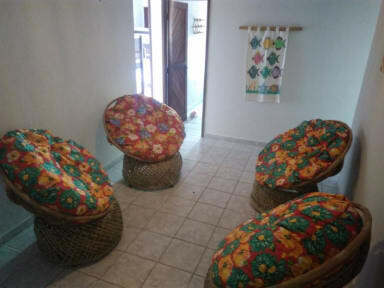 Palawan Hostel consists of dormitory, quadruple, triple and double rooms.